The color of your urine can reveal a lot about your overall health and the presence or not of a medical condition. Normally, urine should have a pale yellow color, without any particle deposits and cloudiness. What color is your urine? Is it bright yellow? What does this mean and should you be concerned? Is It Normal to Have Bright Yellow Urine? 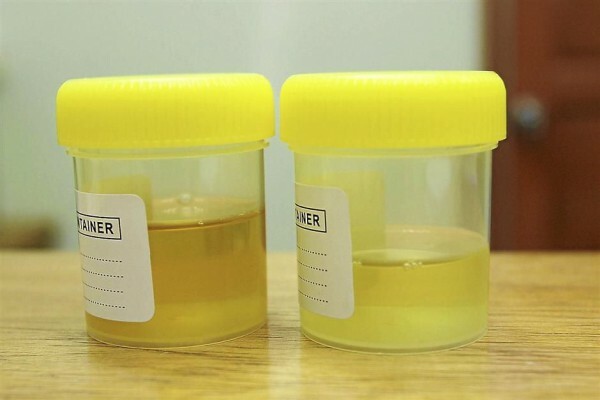 Normally, you should not have this urine color. However, there is nothing serious to concern about. If you are taking vitamin supplements and your urine has suddenly turned into bright yellow color, then this is the cause. Vitamins B and C which are water-soluble vitamins are quickly absorbed from the gastrointestinal system, quickly passed through the bloodstream and excreted through urine from the organism, changing the urine its color. These vitamins are also found in fruits and vegetables we eat every day, but their concentration is significantly smaller compared to when these two vitamins are taken as supplements. Other vitamins such as vitamin A, D, and E are non-water soluble vitamins and they get absorbed more slowly than water-soluble vitamins B and C from the gastrointestinal system. If you are concerned about the color of your urine or if this change of urine color is accompanied by other symptoms of the urinary tract, then you should seek medical help. What About Other Colors of Urine? Besides the bright yellow urine, here are some possible urine colors which may indicate certain health problem. If you notice that your urine color has changed into orange, health problems with the liver or biliary system might be causing it. In these cases, your stool will have a light or white color, known often as a clay-colored stool. Dehydration also changes the color of urine, making it darker, often in orange. Certain dyes used in foods. If a dye is used to test the function of the kidneys and bladder, the urine might turn blue. Certain health conditions. Familial benign hypercalcemia can turn the urine blue, while an infection with Pseudomonas can turn the urine green. Certain medications such as laxatives that contain senna or cascara, methocarbamol, chloroquine, metronidazole, etc. Certain health conditions such as liver problems, kidney problems, etc. If you notice that your urine color has changed into purple, a rare genetic disorder called porphyria could be causing it. Porphyria is characterized by an excessive production of porphyrin which normally helps red blood cells carry oxygen throughout the human body. This excessive porphyrin is excreted from the human body through urine, changing its color into purple. Other signs and symptoms of porphyria beside a purple urine color include muscle weakness, joint problems, nervous system problems, mental health problems, etc. With the help of certain medications, the excessive production of porphyrin from the body can be stopped and the condition can be well maintained under control. If you notice that your urine has become cloudy, it can be caused by urinary tract infections or kidney stones. What Can You Do About the Urine Color Change? If you noticed any change in the color of your urine, especially if this change is accompanied by other signs and symptoms, you should seek medical help and get diagnosed. Your doctor will probably want to know about when you notice these changes in urine color, if you had any other signs and symptoms such as skin rash, headaches, vision problems, etc., if your bowel movements are normal, if you have been having difficulties sleeping, what have you been eating in the last couple of days, if you have been taking any supplements, etc. A physical examination is also conducted beside a detailed medical history. A blood test and urinalysis are routinely ordered. Through a blood test, your doctor can identify any waste buildup in your body as well as the level of your liver enzymes which can signify a certain health problem, diabetes for example. Through urinalysis, your doctor will check for the presence of any bacteria, red blood cells, protein levels, the presence of glucose in urine and other materials extracted from urine. Depending on the diagnosis and the underlying cause of your problem, treatment is recommended. If dehydration is the cause of your bright yellow urine, then the doctor will recommend drinking more fluids a day until you are well hydrated. If a medical problem is the cause of your urine color change, then the treatment of that underlying condition is necessary. Is Toe Shortening Surgery Suitable for You?